Pink springs, red autumns, white winters... you may have seen these colors if you've been to Tohoku once or twice. However, we want to discuss the emerald green of summer, which is just as fascinating as others. A part of a summer sightseeing tour, we visited Akita, Iwate and Miyagi. Let's see what beauty Tohoku has to offer! 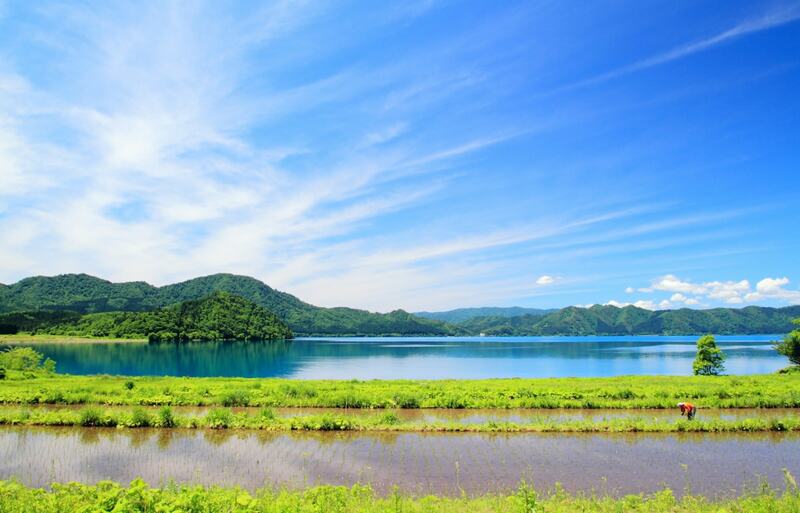 Surrounded by mountains, Lake Tazawa (田沢湖, Tazawako) is famous for its beautiful scenery. 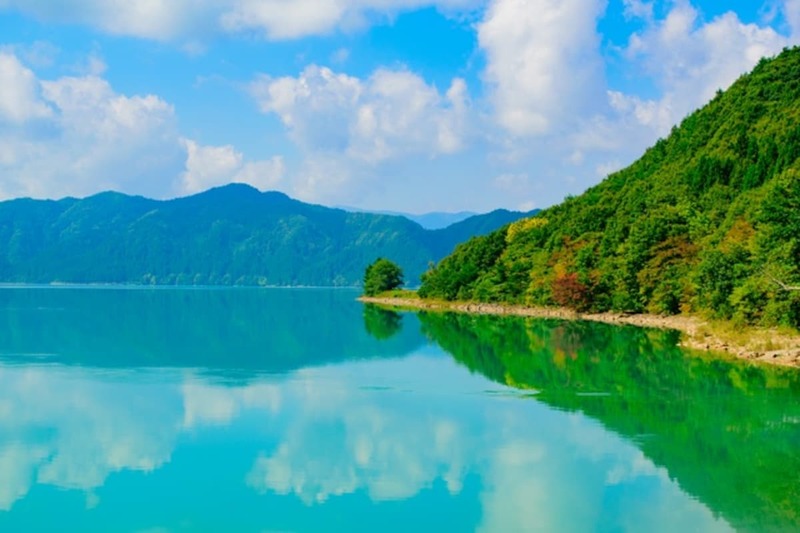 It may not be the biggest lake, but it's the deepest in Japan at 423 meters (1,388 ft). If you put Tokyo Tower in there, which is only 333 meters (1093 ft) tall, you'd probably see nothing at all! Despite how calm and peaceful this lake is nowadays, it's theorized that Tazawako was born from a volcanic eruption 1.4 million years ago. The turquoise pond in the picture above is Oyanuma Pond. It is a part of Goshogake Hot Spring in Akita Prefecture. At a glance, this place may seem like a turquoise beautiful pond from a fantasy game, but it's real! Unfortunately, this pond is not for bathing since its temperature is at 83 degrees Celsius (181°F). But you can still enjoy the view of this pond and other fascinating hot springs around the area. Most of the hot springs around this area are around 92 degrees Celcius (197.6°F). Along the walking path, you can see many muddy hot springs and listen to the bubbling sound surrounded by the white steam. For our next stop, we went to chill out on a small boat ride at Geibikei Gorge in Iwate Prefecture. And the gorges are gorge-ous! During a 60-minute ride, surrounded by huge cliffs and stunning greenery, we passed by many beautiful rocks named after their unique shapes: Mirror Rock, Mighty Man Rock, Cloud-Kissing Rock and so on. Along the way, there was a shrine in a cave that makes a crystal-clear “clink!” whenever someone throws a coin in. So you can be sure that the god of treasure, Bishamonten, must have heard your prayer! Also, we found some new companions along the way. These ducks and fishies have followed us from the entrance to the end of the gorge! How cute!